Boston, MA: EagleBridge Capital, is pleased to announce that it has arranged acquisition & construction financing in the amount of $2,850,000 for 2 single-family rental properties located on Martha’s Vineyard. The properties, located at 158 & 204 Katama Road in Edgartown were purchased by our client and are being fully renovated & expanded. Construction of pools and guest quarters are part of the renovations. The mortgage financing was arranged by EagleBridge Principals Ted Sidel & Brian Sheehan who stated that the loan was provided through a local bank. 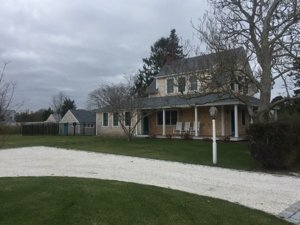 “These properties are very well located outside of Edgartown center. Our client is in the process of gut-renovating each for full-year rentals. The lender, with whom EagleBridge has had a 20 year relationship was able to underwrite, approve and close on these transactions very quickly”, explained Mr. Sidel.